Burst Pressure 55/80 bar (min) 100bar (Actual) approximately. Min. effective discharge time 13 Sec. min. We are offering Mechanical Foam based Fire Extinguisher designed & developed as per the approved industry norms at our workplace. Known for the purpose of supplying, distributing, a wide range of the premium quality of Industrial Safety & Personal Protective Equipment, Sanket Safety Equipments LLP was established in the year 2013 (previously Known as SANKET SALES, Estd. in 1999). We offer a wide range of products such as Respirators Masks, Safety Helmets and Safety Goggles. By using advanced machinery and quality assured materials, our vendors have been able manufacture the offered safety & protection instruments in compliance with the industry laid norms. Some of the industries where the offered safety & protection instruments find wide applications are Steel, Forging, Foundry, Oil & Gas and Pharmaceuticals. In addition to this, the offered safety & protection instruments are available with us in various sizes and designs. By meeting the precise needs and requirements of our customers. We have been able to win a huge clientele across the nation. 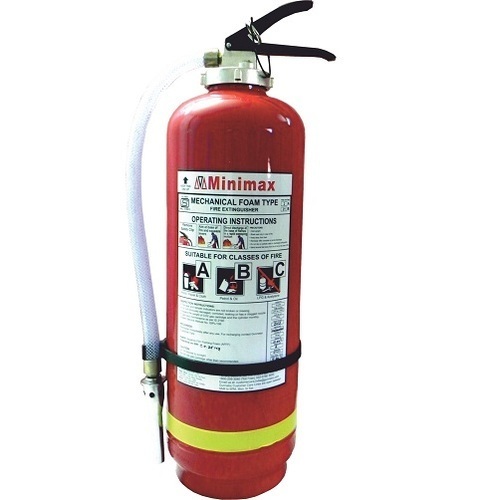 Minimax Fire Extinguishers & Hydrant accessories. We also have products of our own brand - "SANSAFE". Heat Resistant Garments, fire Suits, FR & Cotton Coveralls etc. Traffic / Road Safety Equipments. Chemical & Oil Spill Kits, Booms, Pillows etc. Portable & Fixed Type Gas Detectors. We also undertake the installation of Fixed Line Anchorage System for fall protection with the help of FLS team KARAM industries.